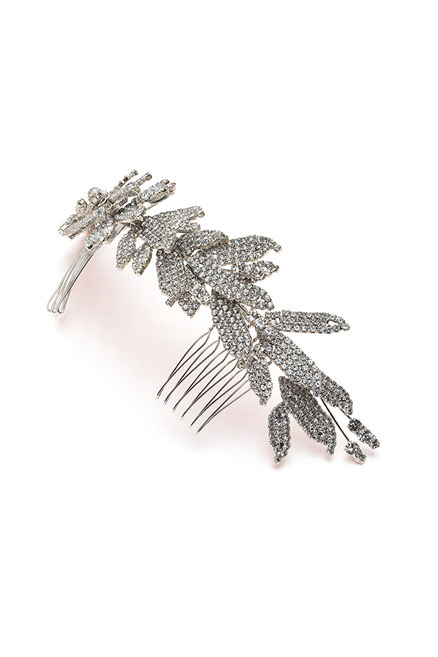 The classic Jennifer Behr leaf motif in an easy to wear comb. 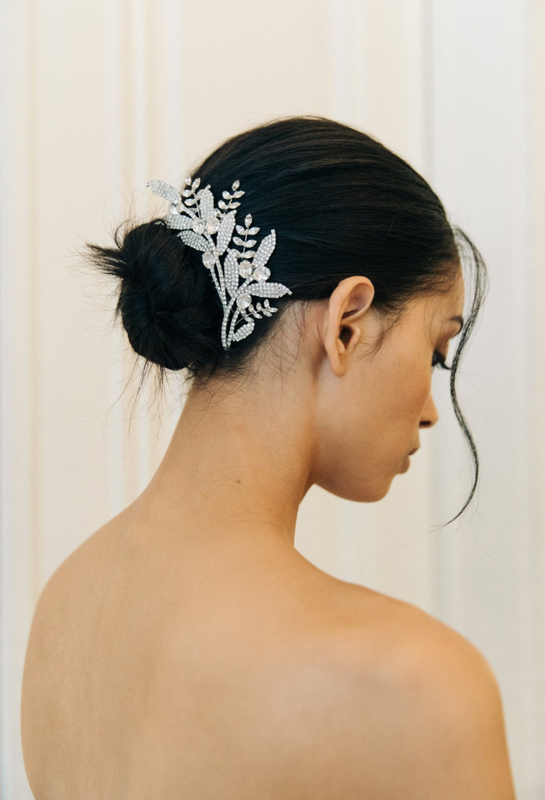 This Arielle chignon wrap with double comb is versatile and can be worn near the back of the head with a veil for the ceremony, then removed from the veil for the reception. 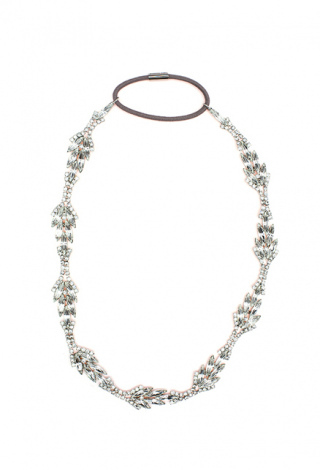 Each Swarovski crystal is set by hand in New York City, taking hours of handwork. 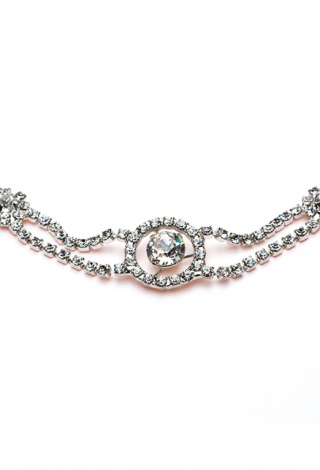 The crystal leaves are arranged on a flexible wire that can be carefully formed to fit around a chignon. 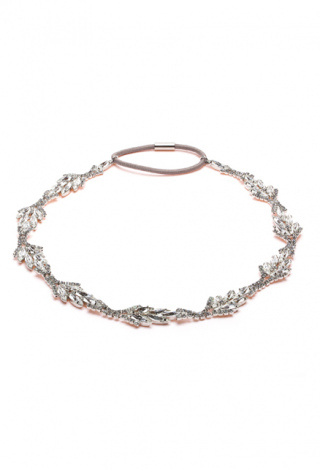 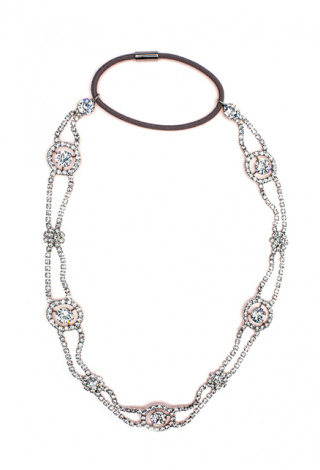 Worn by numerous celebrities including Lauren Conrad, Khloe Kardashian and Maggie Gyllenhaal.